If you go down to the woods today... Well, every child knows not to. Don't they? Tamaya is on a scholarship to the prestigious Woodridge Academy and every day she and seventh grader Marshall walk to school together. They never go through the woods. And when they arrive at school they stop talking to each other, because Marshall can't be seen to be friends with a little kid like Tamaya. Especially not with Chad around. Chad the bully, who makes Marshall's life utterly miserable. But today, hoping to avoid Chad, Marshall and Tamaya decide to go through the woods... And what is waiting there for them is strange, sinister and entirely unexpected. The next day, Chad doesn't turn up at school, no one knows where he is, not even his family. And Tamaya's arm is covered in a horribly, burning, itchy wound. As two unlikely heroes set out to rescue their bully, the town is about to be turned upside down by the mysterious Fuzzy Mud. Tamaya is a quiet achiever, intelligent and takes pride in being a model student. Each day she and neighbour Marshall walk to school together, often not speaking much to her annoyance. Once a former and stately home, Woodridge academy is now a prestigious school for the wealthy and intelligent. Surrounded by forest, students are warned not to enter the woods, the myth of it being inhabited by a hermit who eats children keeping most of the children from straying beyond the boundary. Each day the two walk the same route to and from school, until resident bully Chad challenges Marshall to a fight. To avoid trouble, Marshall takes a short cut through the woods home with Tamaya followed closely behind. Beyond the woods lies an environmental disaster, a revolutionary new fuel is set to ensure the world's supplies never deplete. But within the new biotechnology, miniscule spores are spreading throughout the woodland, multiplying and eroding anything they touch. So when Chad finally catches up to Tamaya and Marshall, Chad will be the least of their troubles. Having not read the authors previous work in Holes, I still expected an incredible middle grade read, but it felt disorganised and fell flat sadly. It follows the storyline of Tamaya and Marshall, neighbours who walk to school together each day but wouldn't consider one another a friend. Both are great kids, buck lack any real character depth beyond a brief background. To avoid a bully, the two companions decide to take a short cut home, despite numerous warnings to avoid the woods at all cost. It's there where a silent threat lies in wait. Microorganisms who are spreading throughout the environment, called Fuzzy Mud for their appearance. The storyline switches back and forth between Tamaya and Marshall, and the senate inquiry into the disastrous accident after the event. Despite the eccentric creator, the inquiry was an over detailed and often difficult to understand scientific discovery. A new fuel was being forged using microorganisms that have somehow escaped into our environment and mutated. The concept just seems far too complex for the middle grade intended audience. The creator in Jonathan Fitzman spends the majority of the book denying that the mutation of the cells is possible, flailing his arms about as he speaks to a senate inquiry. He was completely out of place within the storyline and as a tool used to inject humour into a flat storyline, sadly it didn't succeed. 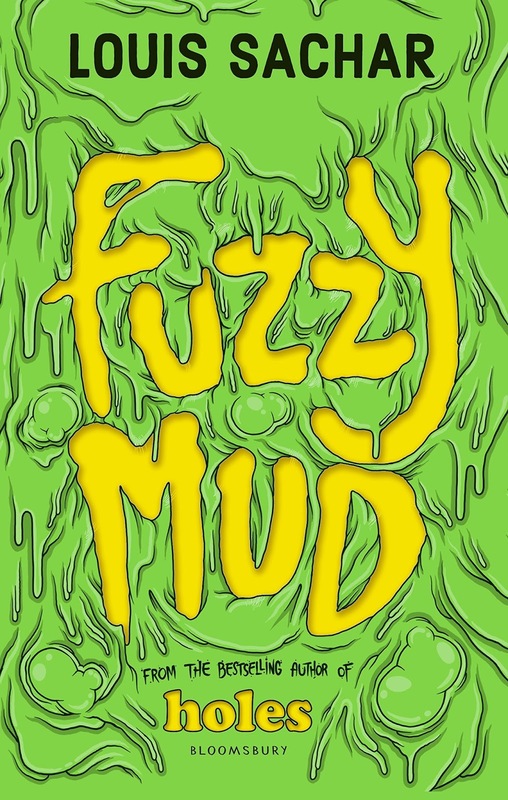 I love middle grade as a whole and even with it's somewhat muddled environmental message, Fuzzy Mud is a quick read that will no doubt be adored by it's target audience. I needed to be able to connect and sadly there was nothing that I could hold onto to form that attachment. Clearly I've missed the bigger picture with Fuzzy Mud and the hype surrounding Louis Sachar. I felt as though I was being told half a story. It had potential but lacked any real depth, just confusion. I haven't actually heard of the author before reading Fuzzy Mud Keionda, but after reading it now I'm wondering why he's been so highly praised. I'll definitely need to grab a copy of Holes to see what all the fuss is about. You NEED to read Holes. It's a classic. hah I'm sorry this one didn't work for you though! It does sound a bit convoluted in plot. It really was Lauren and have already ordered a copy of Holes. Sounds as though I'll be able to appreciate that one a lot more. Oh dear, this is such a disappointment because Holes really is an enjoyable read. It also uses a non-chronological structure, but in Holes that made the story so much stronger -- I suppose the senate inquiry in Fuzzy Mud failed to do so. Thanks for the review! It was a bit too slapstick to have any genuine connection unfortunately. The storyline had so much promise, but it just didn't deliver. I'd love to see what the middle grade intended audience think of this one. The scientific explanations went way over my head even. A bit too clever it seems. I can't get over how much love there is for Holes. Clearly I should have read that one first I think. 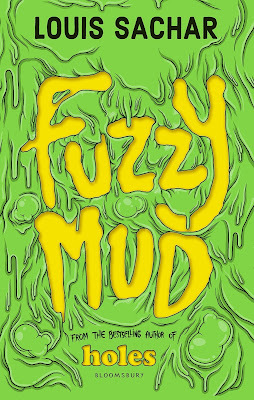 Fuzzy Mud had so much promise but it felt as though it has no real substance sadly. A half told story and a bit of slapstick thrown in just didn't allow me to connect with it. I don't think I've heard of the author before. So sorry this was such a disappointment, Kelly. Boo. I hadn't either Joy, but apparently his first book Holes is quite the read. Sadly this one wasn't of the same fame and I really struggled to connect to it. Thanks Faye and yeah, it does sound pretty similar doesn't it. There needs to be a certain likability with characters that make you want to invest in them, but I just couldn't sadly. I hope I have more luck with Holes, as it sounds like a much better read. I actually hadn't heard of the author at all before this arrived in my letter box Christy, so you're already one up on me. Definitely checking Holes out though. I had to read Holes as an assigned book for the summer and loved it. It was great, honestly, and I wasn't expecting to enjoy it. You should try it! I'm sorry this one fell flat though :// OH IS THE HOLES MOVIE GOOD? :'O Lovely review, Kelly! I will be soon Nirvana, especially seeing how much love there is for it too. I had no idea Holes was a film adaptation, will check it out and see if it's on Netflix. It's like the collection of all the awesome-slash-crazy covers over here on Diva Booknerd! But dammit nothing is worse when a cool loking book falls flat. As a kid I loved holes (the book and the movie!) so what a bummer! It's a film.as well? I had no idea and hasn't heard of the author until I read this. I'll definitely be reading it soon Sarah, I've seen nothing but love for Holes. That sounds dirtier than intended obviously. Oh bummer! Sorry this one didn't work out for you Kelly, I know firsthand how incredibly difficult it is to push through books you simply cannot connect with; gah! But at the same time, these are the reviews I appreciate most, because despite the glowing reviews, at least we are able to know the other side of the spectrum too ;) Thanks for the review! Thanks Claudia, that's really nice to hear. Even though this one was a let down for me, still really excited to read his previous release in Holes. It sounds incredible. I'm hoping I can connect and enjoy that one more so. Stray by Rachael Craw... KAPOW!